Earth Learning receives funding from the Miami Foundation Public Space Challenge to design and install the Overtown Culture Garden, an edible civic landscape for any resident or visitor to enjoy, learn from and forage on. It will serve to beautify the neighborhood, encourage healthy eating, create a positive gathering space, regenerate living soil, clean water/air, habitat for urban wildlife, and most urgently, community! Earth Learning, and partners (Foodscape Designs, CePods, Beacon Advisors, Marcus Samuelsson Group and others) seek to address a multiplicity of issues that are common in urban areas across the US. These include poor health related to diet, urban blight, unemployment, poor urban tree cover, and dysfunctional public spaces. Needed redevelopment often leads to gentrification that excludes existing community members. EL proposes to create multi-functional public and civic spaces that address food security and urban reforestation. This is step one in neighborhood-based economic revitalization that avoids gentrification. The idea, simply put, is to create opportunities for healthy lifestyles, meaningful livelihoods and life-sustaining enterprises that are organized around such basic things as food. 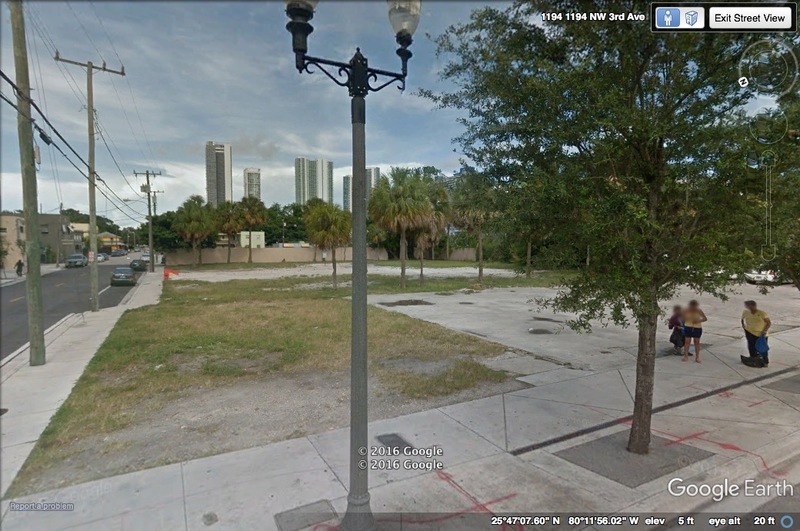 In this case, the proposed public space will be part of a much larger food enterprise campus in Overtown. Our over-arching long-term goal is to work with community stakeholders to install an urban food forest corridor in Overtown; food forests mimic ecosystems using edible and useful plants that humans need. The planned corridor will originate at the Overtown Culture Garden (where we will direct PSC funds) on the SE corner of NW 12th-Street/3rd-Avenue, that will form the epicenter for cultural/economic revival. It promises to be a feast for the senses. As visitors enter, they are equally drawn by outdoor art and lush edible landscape conspiring to engage Overtown residents, Miamians and visitors to experience a sense of heightened culture. The Culture Garden is a demonstration site for Earth Learning’s Community Food Forestry Initiative (http://foodplaces.earth-learning.org) and will showcase the artwork of Foodscape Designs (http://foodscapedesigns.com).